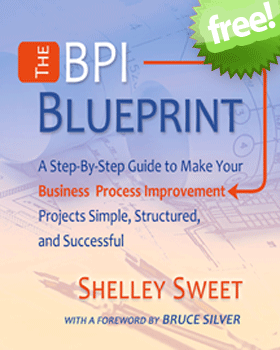 Receive a free copy of Shelly Sweet's Business Process Improvement book when you become a Premium or Professional Member. Select your membership preference on step four when you join. Existing members select your membership here.